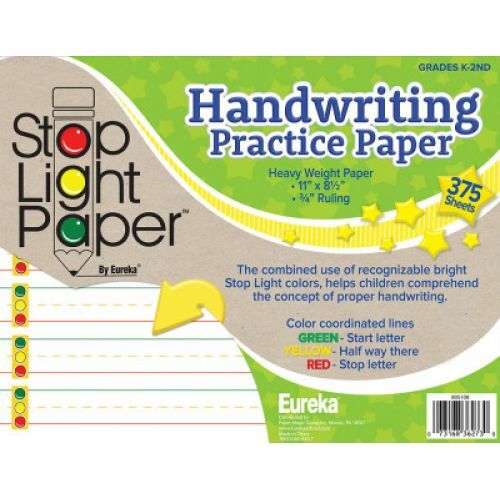 The combined use of the recognizable bright “Stop Light” colors helps children comprehend the concept of proper handwriting in a brand new way. 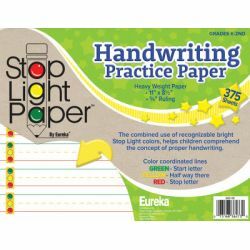 With green on the bottom, meaning “start the letter”, yellow in the middle meaning “half way there”, and red at the top meaning “stop the letter”. 3⁄4" ruling. 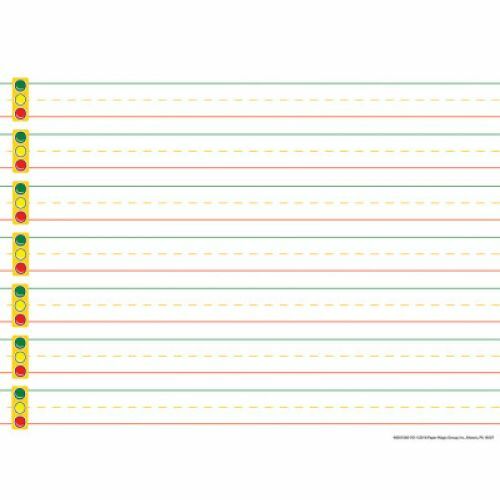 Heavy-weight paper, 8-1⁄2" x 11".